There were lots of interesting stories to comment on out of Ottawa, Queen’s Park and indeed Huntsville this past week. However, I have decided they can wait and that I will keep this week’s commentary relatively light. After all, Christmas is just around the corner and this is not the time to get anyone’s shorts in a knot! And since it is the season of good will, I have been thinking about some of the things, in addition of course, to the real meaning of Christmas, that we have to be thankful for. Politicians, at every level, seem to get a lot of attention, some of it deserved, but there are also a lot of unsung heroes out there who get little media coverage. In Huntsville, top of mind for me in this regard, is the Huntsville/Lake of Bays Fire Department and the man who heads it up. 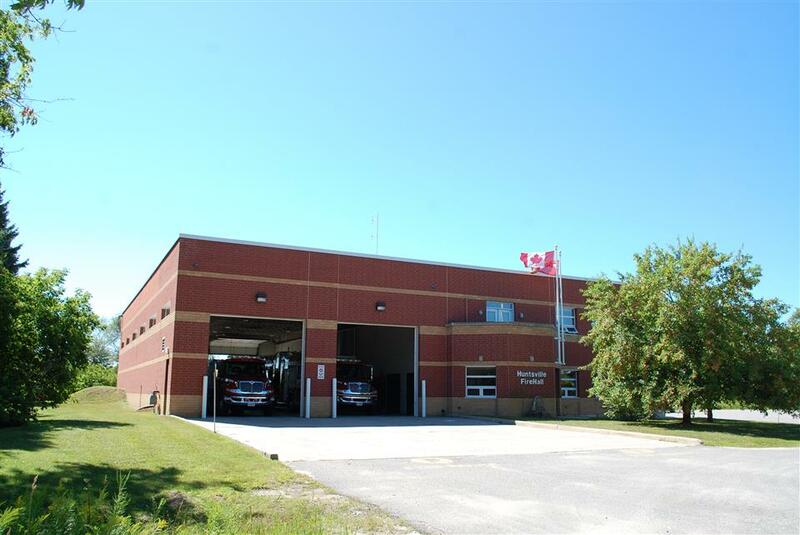 In my view, we are extremely fortunate to have one of the best fire departments of any town in Ontario. This is no accident. Our firemen and women are well trained. Although they receive a stipend, except for the senior officers, they are essentially volunteers who put their lives on the line every time they go to a fire or an accident. They are on call 24/7. If a fire or accident call comes in this Christmas, they will leave their families and go where they are needed. They provide major protection to Huntsville and Lake of Bays and in their spare time they are great supporters of our community, hosting a number of events during the year, including their annual holiday food drive. These people are our neighbours and we have much to thank them for. Steve Hernen succeeded the late Ross Payne as Fire Chief during the time that I was Mayor. Although there was the odd tug of war at budget time, we worked very well together. I was always impressed, and still am, with his work ethic, his leadership skills and his dedication to the safety of our community. One of the things I like about him is that he has never been afraid of the politicians. He calls it as he sees it and he fights for what he believes is needed to keep Huntsville and Lake of Bays safe. Sometimes this got our fire chief into trouble, most notably during the time preparations were underway to host the G-8 meeting in Huntsville in 2010. Steve was shut out, actually barred from the process by G-8 officials, because he insisted that bylaws and regulations, in place for our safety and the protection of our environment, be adhered to. He was doing his job and in my view was hung out to dry. To me, it was a black mark on the G-8. But oops…I said I would keep this light!! During my time as Mayor, I remember one particular fire very well. There was an abandoned condominium building on Highway 60 known as Crescent Bay. It had been an eyesore for a number of years and because of multiple ownership of the property and various legal procedures, it had been impossible to get rid of. It became an election issue and Scott Aitchison, then running for Council, and I, both promised to bring the matter to a head. Little did we know that it would be taken out of our hands! One winter night, not long after, I received a call from the Chief, just as I was getting into bed. He told me Crescent Bay was burning and so I got dressed and went to the scene. It was a huge fire and Highway 60 was blocked off. At least one fireman was injured. It was a clear case of arson and as I recall, an empty gas container was found at the scene. Firefighters did a great job in containing the damage to just the Crescent Bay building and protecting adjacent property. It happened that I had a camera in my car and as there was no media present, I took a picture of the fire and was later asked by the Forester if they could use it. I agreed, but did not anticipate that they would add, ‘Photo Credit: Mayor Hugh Mackenzie’! Given my stated opinion about the future of the Crescent Bay building, I took a lot of teasing over that! I believe the picture still hangs in the Huntsville Fire Hall. And of course Steve, there is the story about a certain fireplace and the Fire Inspector of the day. But no…..we won’t go there!! Huntsville and Lake of Bays are very fortunate to have Steve Hernen as their Fire Chief. 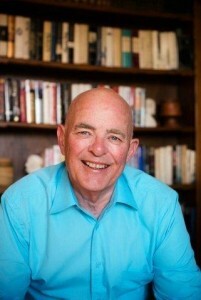 His expertise has been recognized throughout Muskoka and indeed the Province. 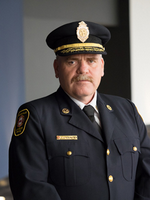 He is currently the Vice President of the Association of Ontario Fire Chiefs. During my time as Mayor he made a significant contribution as a member of the Town’s Executive Management Committee and has been appointed again to that position by Mayor Scott Aitchison. Steve has also made significant and personal contributions to folks in our community who are less fortunate than others. He doesn’t talk much about it and he shrugs off any accolades with his quiet sense of humor. On my retirement as Mayor, Steve presented me with a fireman’s watch, an honour I treasure as it is seldom given to a non firefighter. I wear it on special occasions and I had it on very recently. It reminded me once again, that indeed in our Town, we have much to be thankful for and our firefighters and their leaders are a large part of that. I wish one and all a very happy and peaceful Christmas season. I second your thoughts on out Firefighters and the Chief who has led them through several Mayors and Councils and provided them and the citizenry with top notch Fire Protection through Thin and Thick .As far as the Condo Fire , All is Well that ends well and to all a Good Night…Have a Merry and Fire Safe Christmas….. Bill B. ???? Good to see you back Bill! Keep ’em coming! Happy Christmas to you and your family. I moved from Toronto to Paint Lake, Dorset on Saturday 23 May 2001. The following week I phoned the fire hall in Dorset and for helpful information on keeping my new wooden bungalow safe (in Toronto I lived in a brick house). Several days later the doorbell rang, and instead of a Dorset volunteer firefighter, Steve Hernan stood there. He spent several hours going over the house with me, said “call me anytime you have questions” and left. He was treated shamefully during the G8. And WHAT ARE they going to do with the Crescent Bay property? I remember Steve, fondly, as a teenager in my Math classes at HHS!!! I`m so proud to see all his successes and accolades! Way to go “KID” !!! Merry Christmas to Huntsville and Lake of Bays.